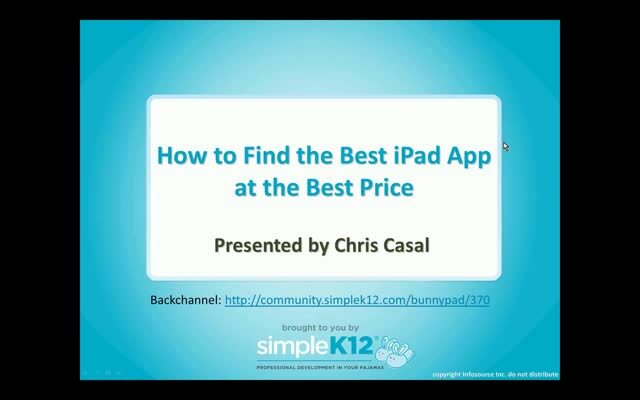 There are a ton of iPad apps out there, and finding the ones you want can be daunting! 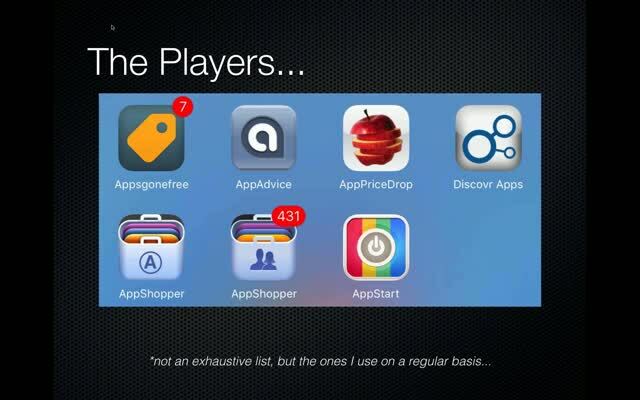 The App Store has over 500,000 apps and that number is growing every day. As the iPad becomes more and more powerful it seems the free apps are fewer and farther between. 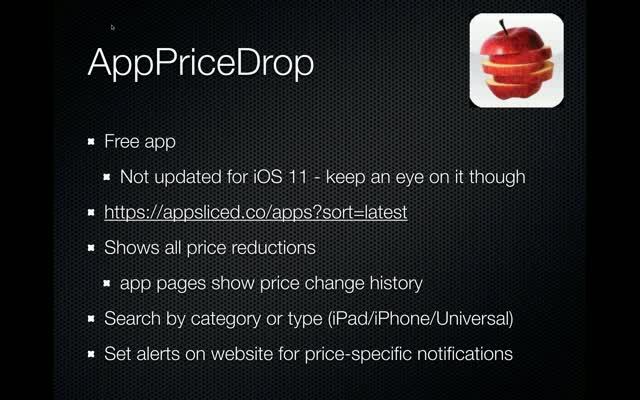 And while finding a free or low-cost app can be great, sometimes the pricey apps are well worth it - but finding them at a lower cost is even better! This webinar will discuss how many app developers run sales, steep discounts, or even freebie days on popular paid apps. 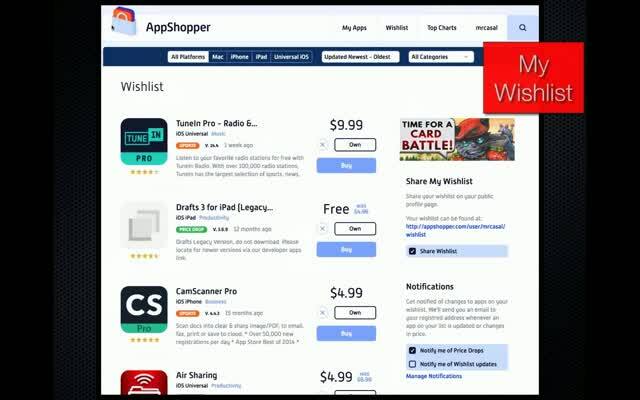 Chris Casal will show you how to easily keep up with the constant price changes using AppShopper, a free app that can use to keep track of the entire App Store. Participants will learn the basics of App Shopper, such as how to browse apps, create a catalog of their current apps, add apps to their wish lists, and be notified of any price changes. A lot of great info! I love finding great deals on apps! Thanks for the tips! This was extremely useful. I am all about finding the best price! Wonderful information and extremely usable . Thank you Chris for providing a wealth of information. 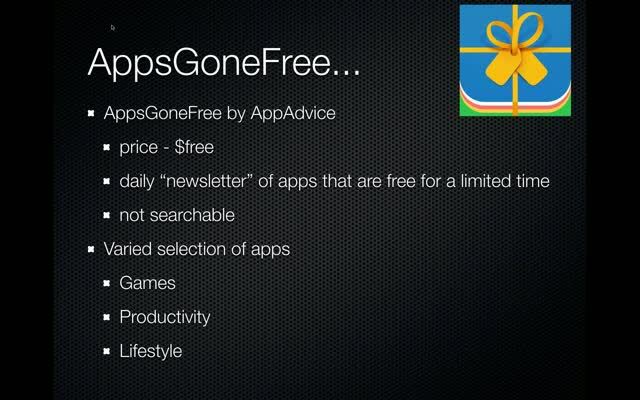 Good information about using AppShopper to find free apps or the best prices for apps.